The TVS3300 robustly shunts up to 35 A of IEC 61000-4-5 fault current to protect systemsfrom high power transients or lightning strikes. The device offers a solution to the commonindustrial signal line EMC requirement to survive up to 1 kV IEC 61000-4-5 open circuit voltagecoupled through a 42 Ω impedance. The TVS3300 uses a unique feedback mechanism to ensure preciseflat clamping during a fault, assuring system exposure below 40 V. The tight voltage regulationallows designers to confidently select system components with a lower voltage tolerance, loweringsystem costs and complexity without sacrificing robustness. 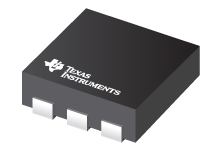 In addition, the TVS3300 is available in small 1 mm × 1.1 mm WCSP and 2 mm × 2 mm SONfootprints which are ideal for space constrained applications, offering up to a 90 percentreduction in size compared to industry standard SMA and SMB packages. The extremely low deviceleakage and capacitance ensure a minimal effect on the protected line. To ensure robust protectionover the lifetime of the product, TI tests the TVS3300 against 4000 repetitive surge strikes athigh temperature with no shift in device performance.